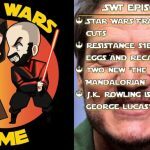 RUMOR: Luke Skywalker Back in the Flesh for Episode 9! 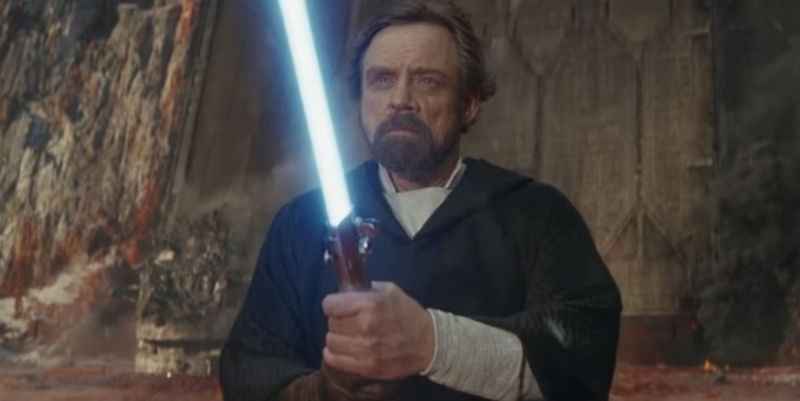 Accoring to a new rumor shared by Express, Luke Skywalker will be back in the flesh in Star Wars Episode 9! “Luke Skywalker in front of Rey on a jungle world. In the background are ancient stone steps that lead to some rooms which appear to be a Jedi Temple of some kind. Luke appears to be in his physical form as if he is not dead, but he may be a Force ghost and more solid this time. No blue hue is described in the sequence. Luke holds his iconic green lightsaber hilt in his hand but not ignited as Rey examines it. This could be one of Luke’s lessons to Rey, teaching her how to develop a lightsaber like his own. I know what some of you may be thinking, can’t happen, but this is definitely a possibility after what we witnessed in The Last Jedi. Before TLJ, it was believed that previously deceased Force users could only reappear to their followers and loved ones in ethereal form, but Grand Master Yoda ascended past that level and showed himself to Luke in full corporeal form. This is the first time in the series that we have seen a Force user appear in full body form after death. In previous films we have seen Obi-Wan Kenobi, Yoda, and Anakin Skywalker appear to Luke in Force Ghost form. With this appearance, we now know that it is possible to come back in full form, but how is it done? 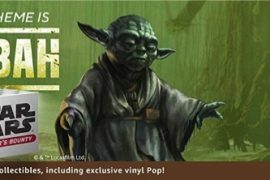 As most people know, Grand Master Yoda is one of the most powerful Jedi of all time. He was able to absorb Emperor Palpatine’s Force Lightning through his use of the Force alone, and he was also one of the most skilled lightsaber practitioners of all time. Could it be that Yoda, and possibly other Force users, are so strong with the Force that they can simply overcome the ethereal form? If so, could we see other extremely powerful Force users return in full form? Luke Skywalker is the perfect candidate for this treatment. He has proven his strength as a Force user in the original trilogy, and it is almost guaranteed that we will be getting some more tales of post ROTJ Luke in the new expanded universe. Allowing Luke to return in full corporeal form to a desperate Rey would be the perfect opportunity for him to make amends and guide her through the trials and tribulations of becoming a Jedi. Anakin Skywalker, aka Darth Vader, has been a looming figure in both The Force Awakens and The Last Jedi. His grandson, Ben Solo aka Kylo Ren, is obsessed with him and is always looking for guidance from Vader. As we all know, Anakin Skywalker was conceived by the Force and his potential was never fully met due to his defeat at the hands of Obi-Wan Kenobi. Anakin would definitely have the power necessary to overcome the ethereal form and try to save his grandson from the clutches of the dark side. Episode 9 is still more than a year from its slated release, so there is plenty of time for these rumors to be disproved or further clarified. Until that time, fanboys like us will continue to dig into the likelihood of all the rumors that pop up.